The sweet yet tart pomegranate matches up with dark chocolate beautifully. 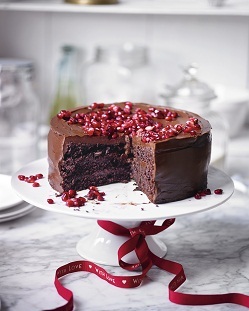 Adding juice to the sponge keeps it moist as well as enhancing the pomegranate flavour. Preheat the oven to 180C, gas mark 4. Grease and line the bases of 3 x 20cm tins with baking parchment. 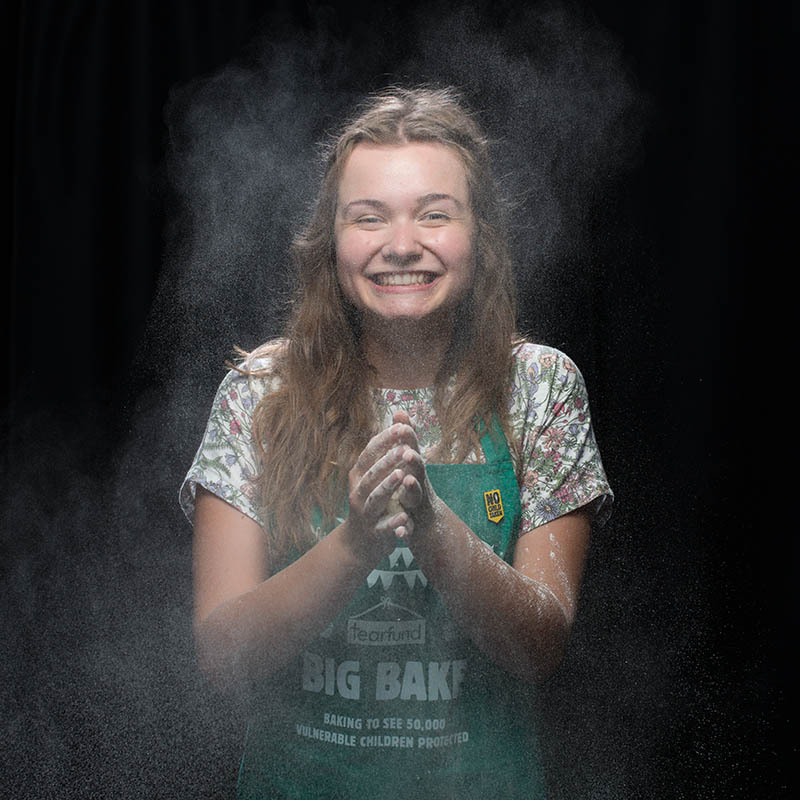 Combine the flour, cocoa powder, bicarbonate of soda, baking powder and salt together in a bowl. In a separate bowl, whisk together the oil, sugar and eggs until smooth. Add the pomegranate juice and the flour mixture to the oil, sugar and egg mixture. Pour in half the juice, and then add half the flour, then the remaining juice and the remaining flour. Make sure you mix well after each addition to avoid any lumps. Divide the mixture between the 3 tins and bake in the preheated oven for 20-25 minutes, or until the cakes are springy to touch and, when inserted, a skewer comes out clean. Leave to cool in the tins for 10 minutes, then transfer to a wire rack to cool completely. For the ganache, place the butter, chocolate and golden syrup into a heatproof bowl over a pan of boiling water. Stir until the mixture is melted and smooth – about 7-8 minutes. Pour in the double cream and mix until combined, then place into the fridge and chill until cool but not set – about 35-40 minutes. Use an electric hand whisk to whip the ganache until it turns from dark to pale brown – about 2-3 minutes.